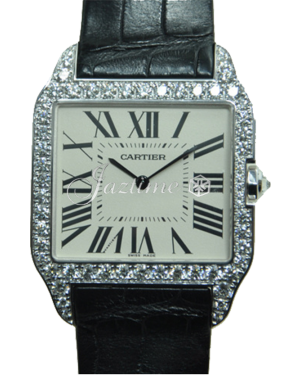 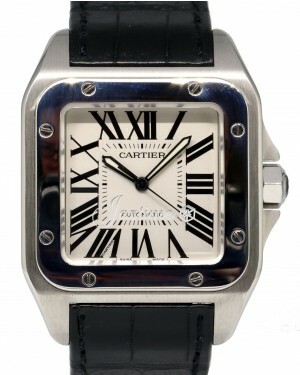 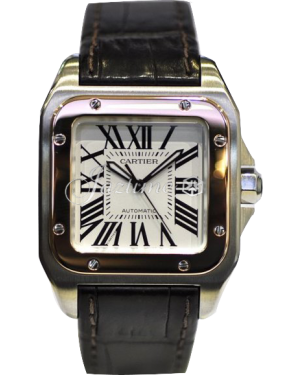 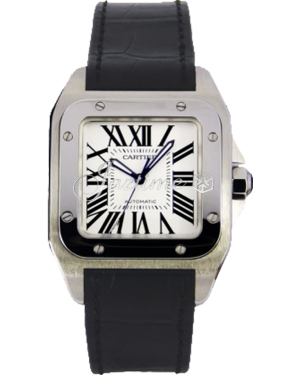 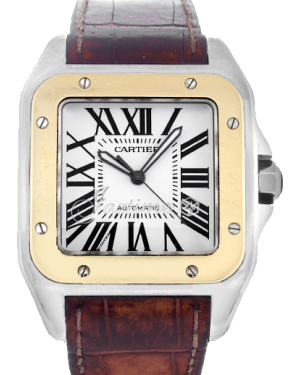 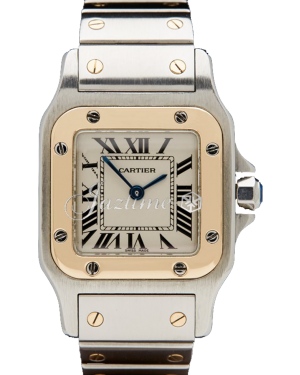 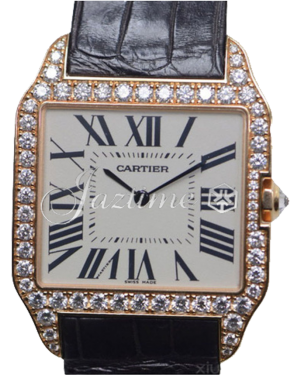 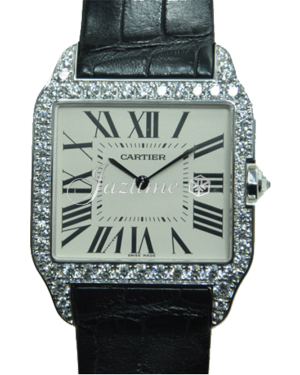 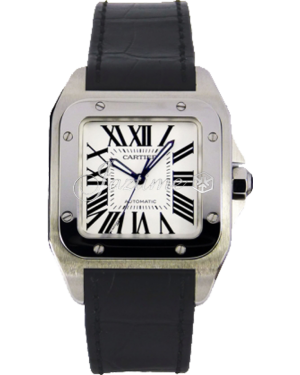 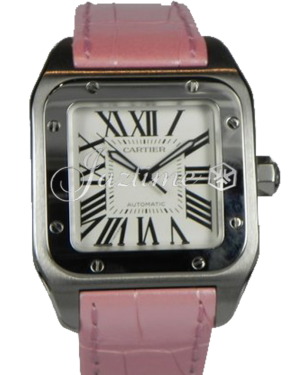 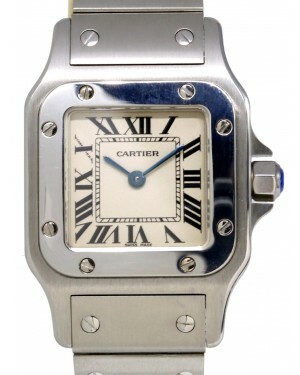 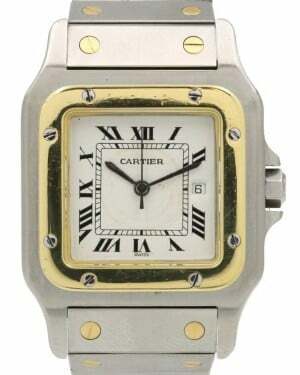 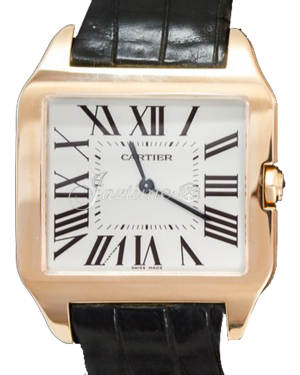 The original Santos de Cartier was created in 1904 for Albert Santos Dumont, a pioneer in the field of aviation, who wanted to be able to tell the time while flying. 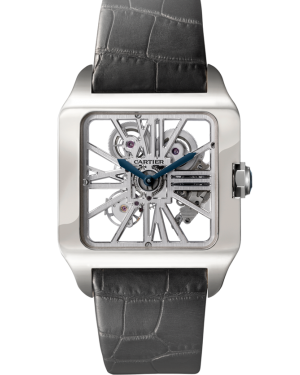 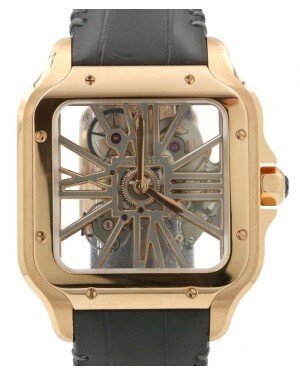 It is now widely recognized as the world's first modern-style gentlemen's wristwatch, completely revolutionizing watch-making. 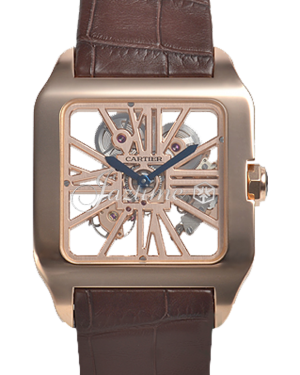 Today's Santos de Cartier collection stays faithful to its iconic ancestor in terms of design, while also embracing modern engineering techniques. 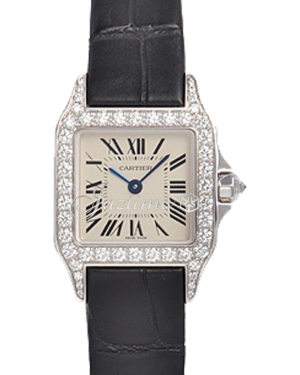 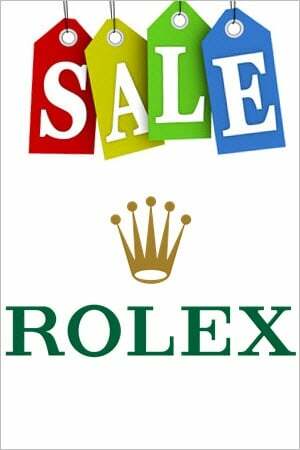 Although the collection features a number of diverse models, including the Santos Demoiselle and the Santos 100, they are united by their square shape and uncluttered faces, which embrace simplicity and offer supreme legibility.